Need a unique gift to send to your sweetheart to make her smile? 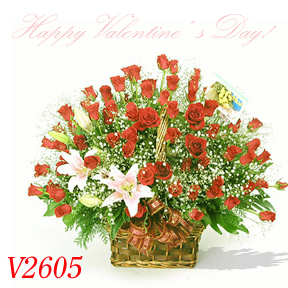 Send this stunning basket of four dozen fresh cut red roses, two Lilies , baby breaths and more. Give this gift which is as huge and unforgettable as your love for her!